Implemented a full lead-to-cash process in less than five months. DRG is a global information and technology services company providing high-value healthcare industry analysis and insights. DRG came to SpringCM in need of a central repository where contracts could easily be searched, as well as ability to view a complete audit history. "Sales is notoriously the hardest group to get to adopt new technology. SpringCM has made the adoption process seamless, and Sales is happy to have more time to focus on revenue." DRG had recently acquired 10 companies and needed a solution that would bring each of them onto the same platform, expand contract visibility and accelerate sales productivity. DRG identified Salesforce CRM to drive sales efficiency, plus Salesforce CPQ and DocuSign, as key partners for their new process. However, Salesforce CPQ did not have a tool that could manage contract negotiations and redlines. Legal needed to be able to access contracts - including third-party contracts - without needing a Salesforce license. SpringCM allows DRG to easily and securely search through contracts in one central repository, connecting their sales and legal departments. 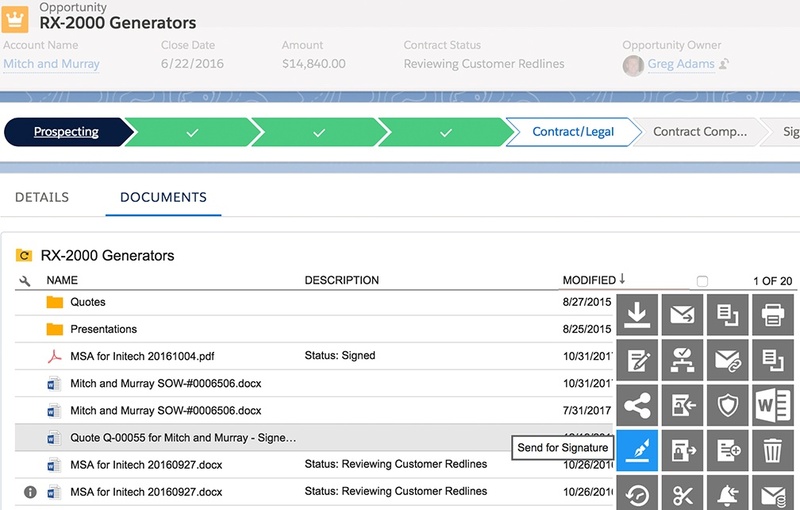 DRG was able to implement SpringCM - alongside Salesforce CRM and CPQ and DocuSign - and standardize their contract process in less than five months. 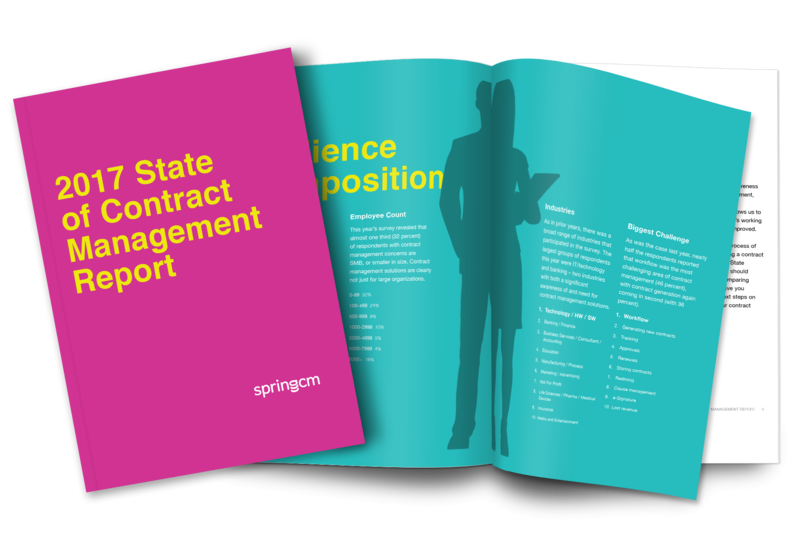 With SpringCM, DRG has accelerated their sales process and eliminated friction between departments, which results in serving customers faster, delivering up to 400 contracts every month.